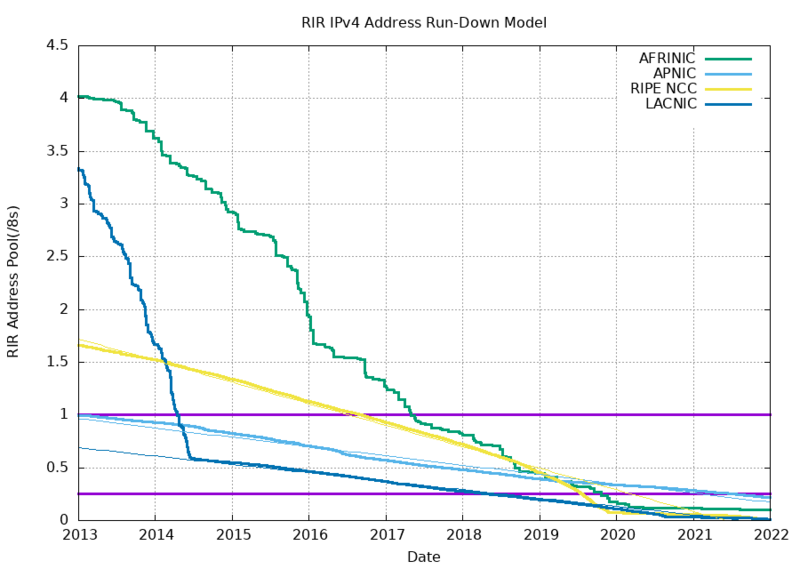 After ARIN ran out of IPv4 address space (in a totally uncontrolled “let’s party till it’s over” way) US enterprise IT shops (RFC 6919) OUGHT TO learn how to spell IPv6 (US service providers are already ahead of the pack). You may also decide to ignore IPv6 indefinitely, but do keep in mind that consultants love panicking clients. However, just because there’s little public IPv4 address space left doesn’t mean that you have to deploy IPv6 throughout your enterprise; often all you have to do is to make your content available over IPv6. I documented typical deployment scenarios in the Enterprise IPv6 101 webinar, and made that part of the webinar publicly available. Why do you say ARIN's approach was totally uncontrolled? It's the approach the community wanted. I didn't say it was uncoordinated. I also don't have to agree with "let's burn them till there's (almost) nothing left for the latecomers" approach. Ever Heard of Role-Based Access Control?